In this article, we will show you, How to write a Java Program to Copy an Array without using Built-in function, and using copyof method with example. 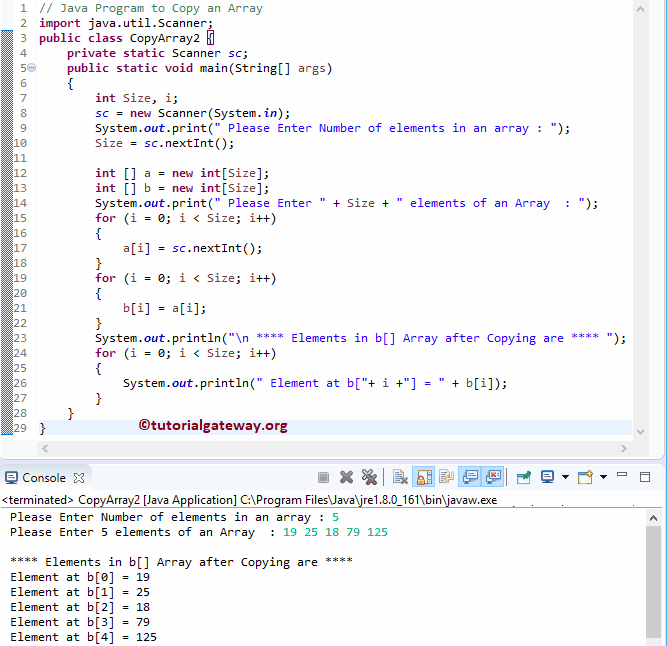 In this program we are using the Array.copyOf method to copy one array to another. This program allows the user to enter the size, and the One Dimensional Array elements. Next, it will copy each and every element in a array to b array using For Loop. First, We declared 2 One dimensional arrays of user specified size. And they are a, b of integer type. This program is same as above but this time we used While Loop to copy elements from one array to another array.